A standard litter bin will fragment under blast loading spreading the lethal blast effects further. Removing litter bins completely only adds to public frustration and a greater cleaning burden. Products manufactured by Energetics Technologies, Ltd. The HALO 80 Blast Protected Litter Bin/Trash Can combines keeping the environment clean with protecting the public against terrorist explosives threats. Tested to the latest UK Home Office standards (2011), the HALO 80 is designed to protect against major blast threats and is suitable for most sensitive locations. The shell remains intact providing all-round horizontal protection whilst the lid disintegrates into harmless particles. 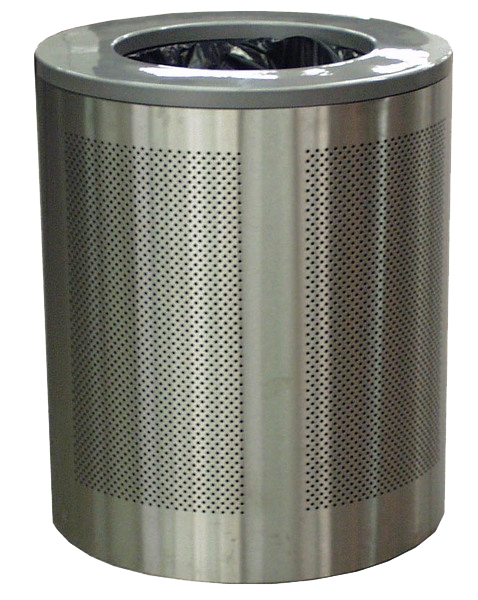 The TC-95 Blast Protection Litter Bin/Trash Can combines keeping the environment clean with protecting the public against terrorist explosives threats. 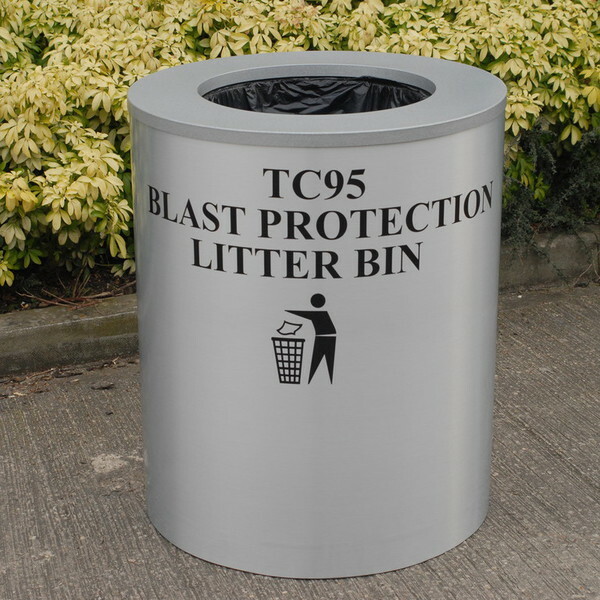 Tested to the latest UK Home Office standards (2011), the TC-95 Litter Bin is designed to protect against major blast threats and is suitable for most sensitive locations. The shell remains intact providing all-round horizontal protection whilst the lid disintegrates into harmless particles. At FFI Tactical we have consultants and advisors around the world, ready to help you with solutions for your security measures. Contact us to get a free quote.